Growing up as an athlete, Dr. Braden has always had an interest in health and nutrition and utilizing the body to its full potential. She graduated in 2012 from Indiana University with her bachelor’s degree in Human Biology. She then went to National University of Health Sciences for her doctoral degree in Chiropractic Medicine. 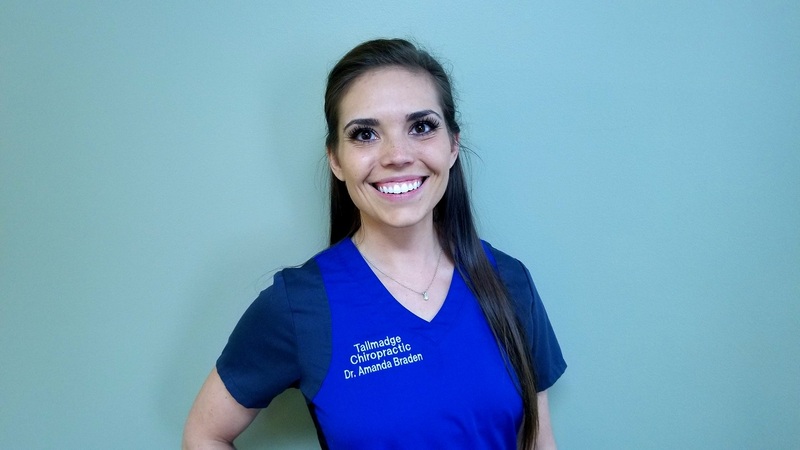 Dr. Braden has taken over 250 hours of additional practice in functional medicine towards her Diplomate for the American Board of Chiropractic Internists. She has also completed over 100 hours in Biomedical Dry Needling. Dr. Braden enjoys working with people of all age groups and all fitness levels. She works to treat the body and not the symptoms to return the body to its natural balance.